In today’s culture, alcohol is marked as social substances that makes everything more fun. It’s no surprise then that it’s difficult for some people to see the difference between drinking for pleasure and a more serious problem. On top of that, there are stereotypes that make it easier for an alcoholic that doesn’t fit the mold to stay in denial. Addiction doesn’t discriminate between race, gender, socioeconomic status, or education level. It affects people from all walks of life, which sometimes makes it harder to know if someone may have a substance use disorder. Admitting that you have an alcohol problem isn’t easy, and for many people, it’s even harder to admit that they need help for their addiction. But not doing so could have negative – or even deadly – consequences in the future. It’s easy to write off the concerns of your loved ones, especially if you feel you’re being judged or lectured. However, don’t be so quick to write them off or act as though they’re blowing things out of proportion. Many times, loved ones won’t bring up addiction until it’s a serious issue. If they’re saying something, it’s because they care and want the best for you. If you’ve noticed recently that family and/or friends are telling you that they’re worried about you or have concerns regarding your addiction, it may be a sign that you need to go to rehab. 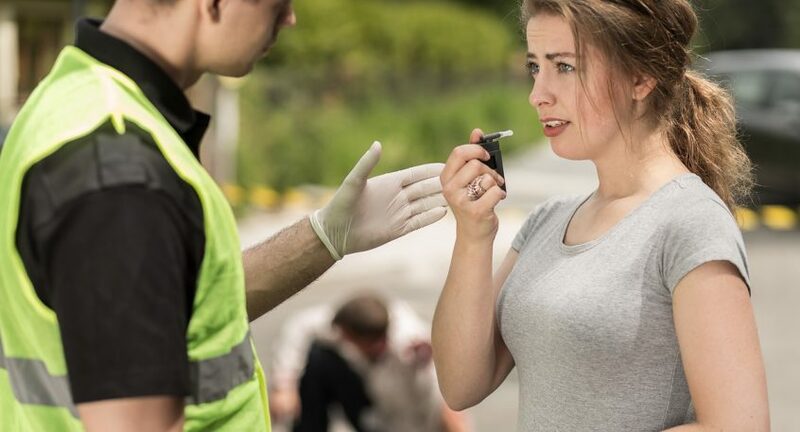 Have you hurt yourself – or worse, someone else – while under the influence of alcohol? Maybe you’ve gotten into a bar fight, tripped and broke your arm after a night of drinking, or gotten in a car accident while driving drunk. These are all signs that you need help for your addiction. Additionally, alcohol can increase the symptoms of depression and other mental illnesses. If you’ve ever had suicidal thoughts or harmed yourself as a result of drinking, it’s critical that you seek help immediately by calling the National Suicide Prevention Lifeline at 1-800-273-8255 or using their instant messaging feature. No matter how hopeless you feel, you are not alone, and treatment is available. For many addicts, it’s hard to show up and be present for important events that include family and friends. If drinking has become the biggest priority in your life and you’re missing weddings, your child’s athletic games, birthday parties, holidays or other gatherings involving family or friends, it could be a signal that you need treatment for your addiction. If you’ve tried to stop drinking or using but start experiencing symptoms such as headaches, nausea, cramps, paranoia or irritability within a few hours after your last drink, it’s likely that you’re experiencing withdrawal symptoms. It’s these symptoms that hold many addicts back from getting the help they need, but it’s also a sign that you need treatment. A medical detox program can help you get through this period while also offering medications to help with the physical symptoms. Then, entering an addiction treatment program will help get to the root of your addiction and help you stay sober long-term. One of the biggest signs that you may need help is facing negative consequences as a result of your addiction. This can range from losing your job, getting your driver’s license suspended, being arrested for a DUI, participating in crimes like stealing or fraud, spending time in jail, or having issues in your relationships that stem from your drinking. Deep down, most people know when they have a problem with alcohol. If you find yourself wondering, “is this normal?” when it comes to your alcohol use, chances are, it’s probably not. If you stop and take an honest look at your lifestyle or habits and are worried about them, it may be time to get help. Addiction is a medical disorder, and getting clean on your own is difficult. If you’ve tried to quit before but haven’t been successful due to withdrawal symptoms, a lack of support or something else altogether, attending rehab is a great option. It’s not easy to admit you have a problem and ask for help, but it’s the first step in living a clean, sober life in recovery. If you’re thinking about entering rehab, the team at Orlando Recovery Center is ready to answer your questions and find a treatment program that’s right for you.